It’s been so many years since I saw the Mel Gibson version (Mad Max 2: The Road Warrior) that it felt like I was seeing this story for the first time. In truth, apart from the post-apocalyptic setting, scarce resources, and a central character named Max Rockatansky, played this time by Tom Hardy, this could very well stand alone as a new story and not strictly as reboot of a once influential movie series. As an action film, it excels; in fact, moments without fighting or chasing or running, are rare. Charlize Theron attempts the role of a tough female warrior, Imperator Furiosa, but renders a performance that fails to engage, which isn’t a good thing since she’s essentially the protagonist of the story. The secondary characters of Nux (Nicholas Hoult) and the five wives of the film’s main baddie, Immortan Joe, strike a greater emotional resonance than the two main characters. 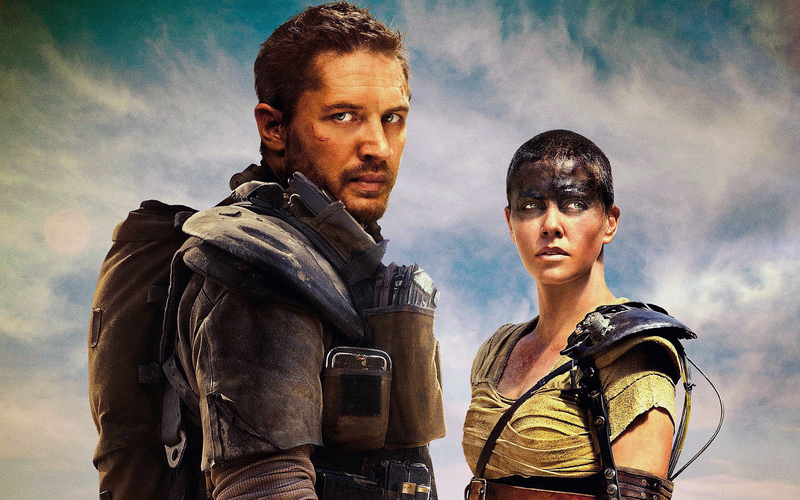 Half of the film is spent with Max and Furiosa racing and fighting to reach a distant location and then turning around and doing the same in reverse. The clearest theme you can draw from this is that it’s better to fix what you have than wasting precious resources on looking for something that might not exist; it’s the grass is always greener sort of dilemma. I suppose it’s possible to elicit some meaning from the wives, who are running away with their unborn children, or the many forms of ritual we see performed throughout the movie, but the desire to do so doesn’t seem much worth the effort. Thumbs up for cinematography, explosions, and stunts; not so much for an engaging storyline that you’re going to remember beyond the timing of your next meal. This entry was posted in Movies and tagged Mad Max fizzles by Gary Nilsen. Bookmark the permalink.